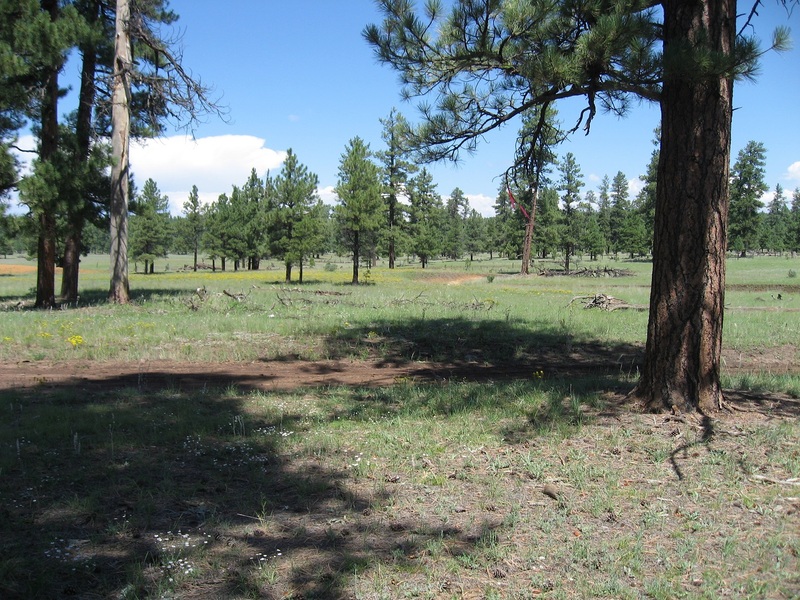 dry camping in the Coconino National Forest – RV Cheaper! May 26, 2013 January 8, 2015 RV Cheaper! 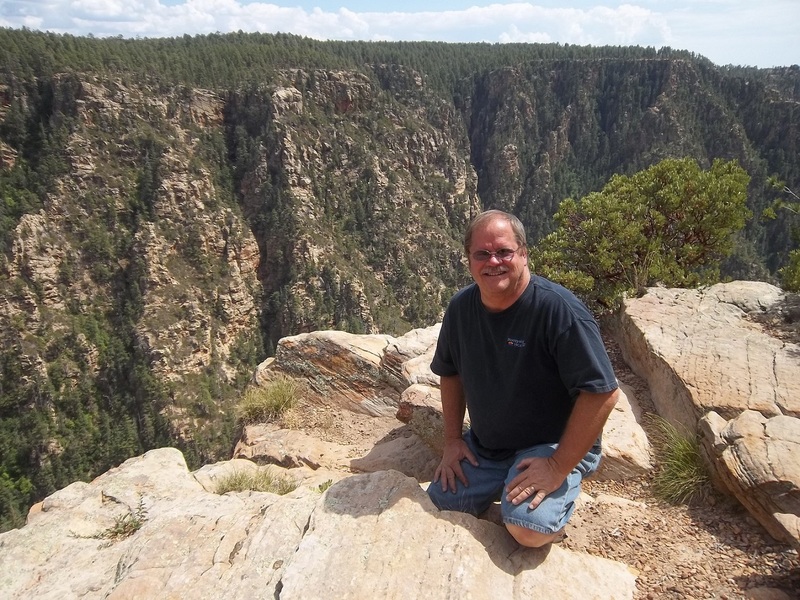 During our Florida to Arizona trip after buying the Bounder, I gained an appreciation for RV Resorts and we look forward to visiting many once we can full time or take longer vacation trips. For all the comforts of hookups, I still have dry camping in the national forests at the top of my list. Until we can spend our summers travelling across the northern U.S. and Canada, northern Arizona is our escape from the heat while we live/work full time in Arizona. 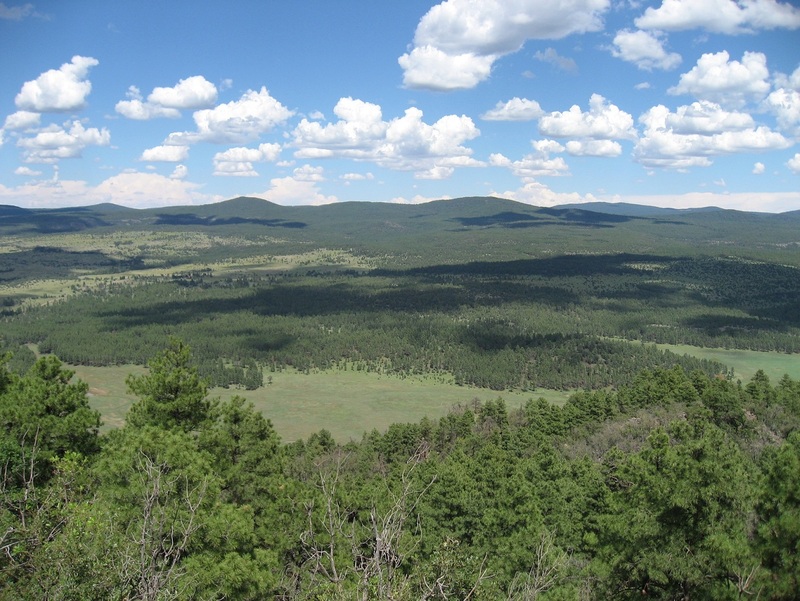 Northern Arizona has some great summer locations that are so different from the lower deserts. The fact that these escapes are so close to home makes Arizona the most diverse place I’ve ever been. Yes it’s 110+ plus during the summer in the lower deserts, but wintertime the desert is my friend. In the summer, we store the RV up north so we don’t use a bunch of gas getting to a cool summer weekend destination. 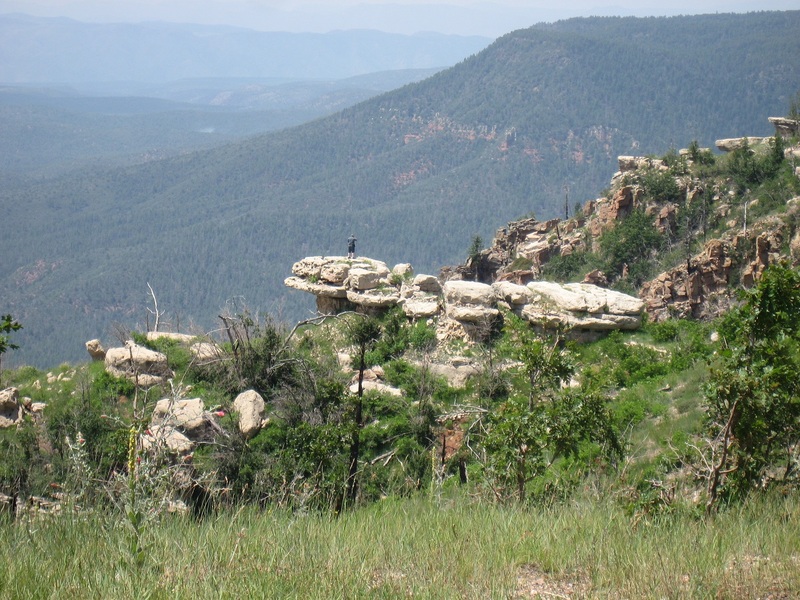 After taking the RV up north the first time, I realized we are saving $75-$100 per trip driving the car to Payson and the RV from our Payson storage place to the Mogollon Rim where we camp. 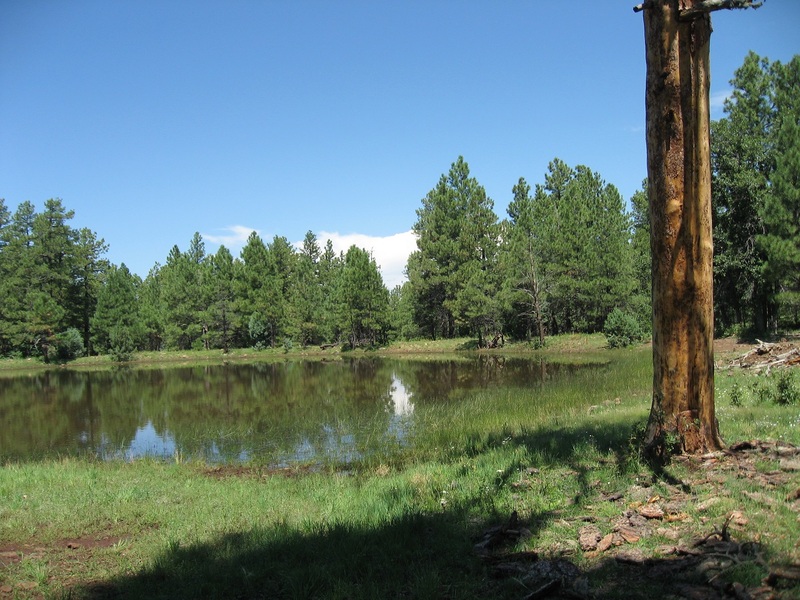 My favorite national forest in Arizona has to be the Coconino national forest, it runs hundreds of miles east to west across Arizona and I’m told it holds the largest stand of Ponderosa Pine in the world. 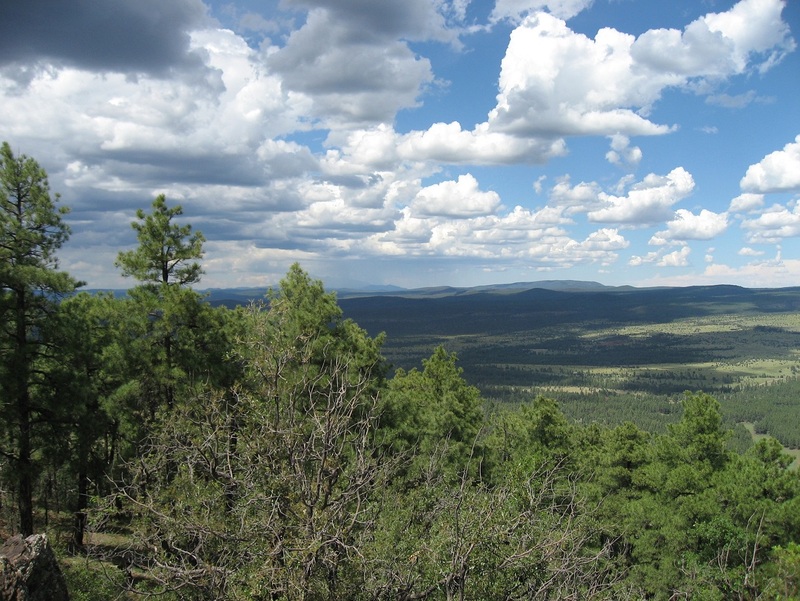 I’ve seen other forests across America that are larger with other breeds of Pine, Fir or Redwood, but Arizona’s is pretty nice for a desert state! There’s no shortage of forest roads and dry campsites to pick from. 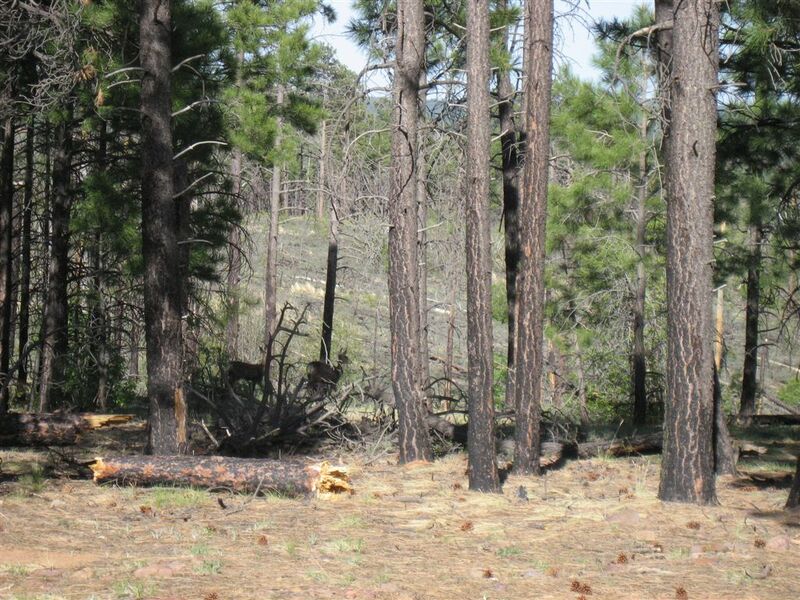 The photos below are from locations near Flagstaff south to the Mogollon Rim just north of Payson. 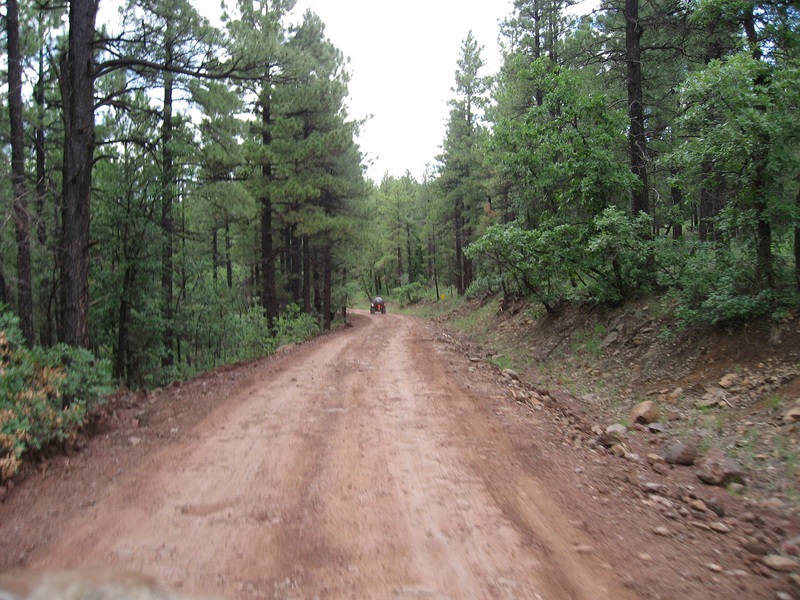 There’s much, much more forest area to see and places to go across the Coconino NF. 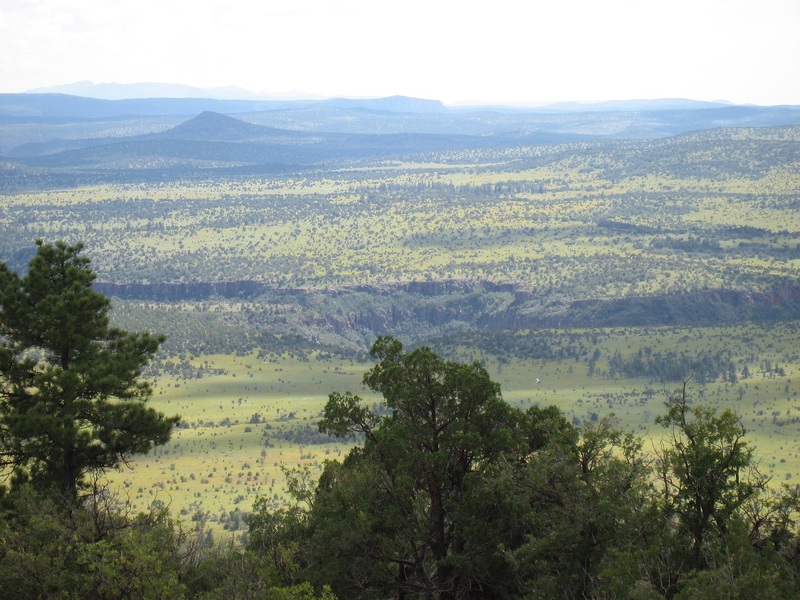 But these photos will help you decide if you want to make the Coconino forest a future “summer destination”. 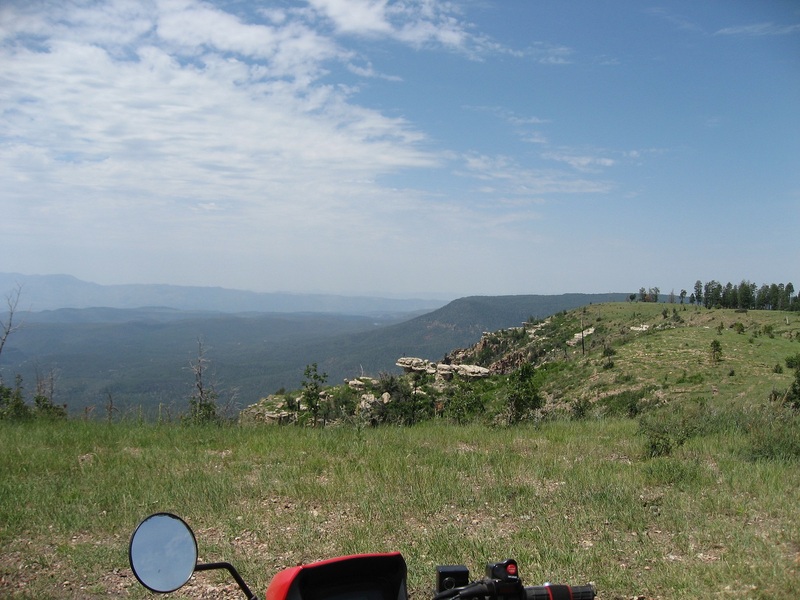 There are places to hike, bike, atv or visit by car once you pick a base campsite. And be sure you set aside time at dusk or dawn to travel the nearby forest roads and you will be treated to deer and elk sightings up close as they move between bedding areas and their water sources. Since there’s thousands of square miles to see, you’re certain to find a favorite base camp during your travels. Seriously, you are in for a summer treat in northern Arizona! From Apache Maid lookout tower north to a rain shower at the San Francisco Peaks and Flagstaff in the distance. Those trees next to the meadows below are 50-100 feet tall, quite a view from the tower. 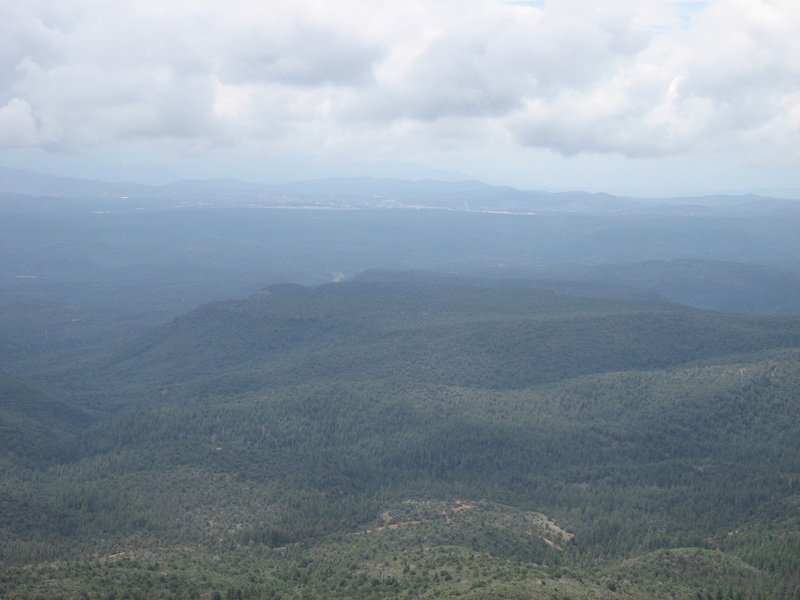 Looking over the 1000′ drop off the Mogollon Rim just north of Payson. You have to be there in person to realize how tall the Pines are on the other side. 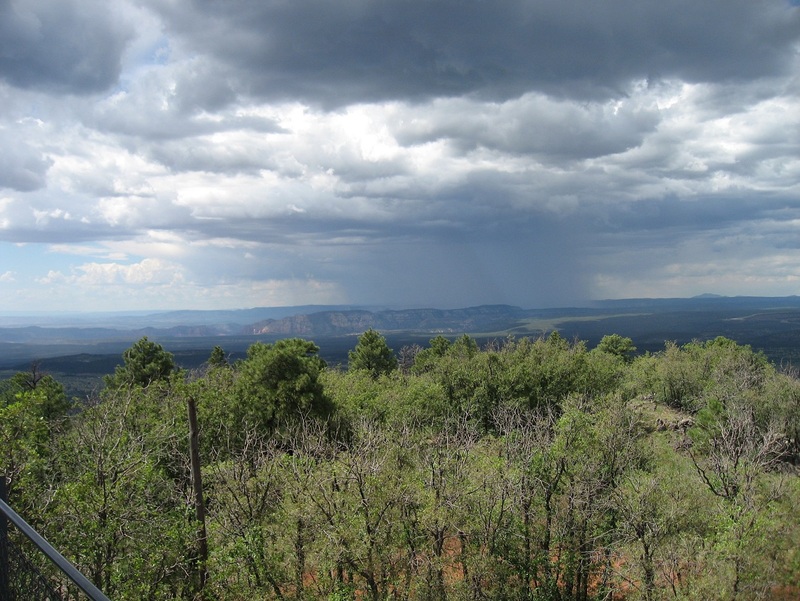 Looking west to a rain shower in the Sedona, Oak Creek Canyon area. see the guy out on the rock? maybe now you see him out there? 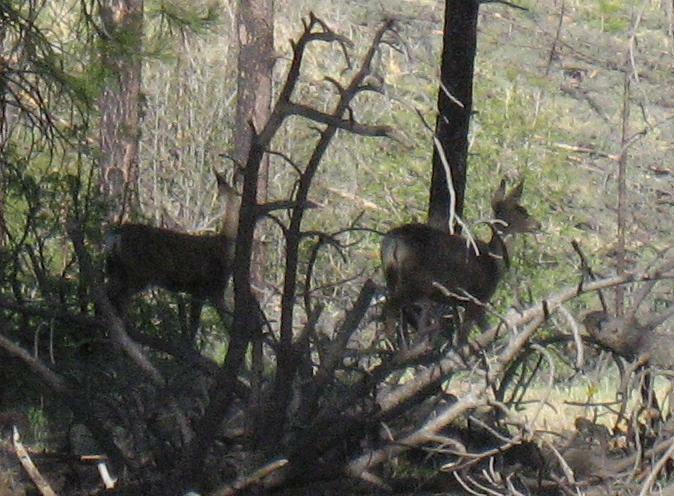 look closer, yes, those are some mule deer. many, many miles of remote forest to tour via car, bike or atv. Water holes for cattle provide plenty of dusk or dawn sightings of deer and elk. Losts of level sites near smooth trails, meadows or thick woods. 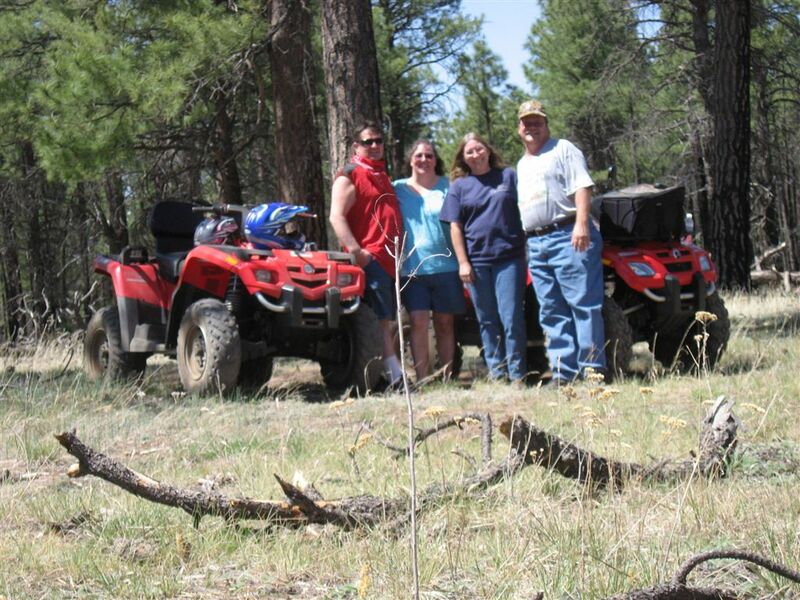 taking a break during a 30 mile atv ride. Previous biggest trees I’ve ever seen, New Hampshire! This is definitely a place to visit when we got back to the west. Im really surprised that you are in AZ during this time of the year but I guess with the higher elevation it must be cooler up there than down where we were last winter. Northern Arizona definetly is a beautiful place that has it all. I have so many memories of it that I will never forget. I wish I could dry camp at the places dad and I camped at. I wish I could get Huey back into where we had the family reunion. But now I will settle for state and federal camp grounds where I can get a 40 footer. Dry camping by far is the way to go and we are going solar and are in the process of changing all lighting to LED, but it costs. If you get a chance check out Sharp Creek up 260 out of Payson. This fall we are staying up there. I think Huey can get to as many or more places than we took our tent trailer about 1-2 miles in from the highway, the teeter effect would drag the bumper if I tried to go any further. I’ve even seen some tag axles in a the places that trailer wouldn’t so I’m looking forward to better sites with the Bounder. With your Jeep you can go explore all of the other places further back where we ride the ATV.